Traditional enterprises and institutions are searching for new cryptocurrency experts to improve their investment strategies. The main request is related to individuals with experience in blockchain technology and digital currencies. At the same time, the demand for blockchain developers has increased during the last year. 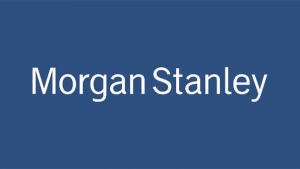 Morgan Stanley is one of the most important investment banks in the world. And, as investors have been increasing their interest for cryptocurrencies, the financial institution is searching for candidates with knowledge about cryptocurrencies and blockchain technology. The bank is searching for equity analysts with knowledge of cryptocurrencies. The company wants to offer clients a different way to diversify their portfolios by incorporating cryptocurrencies. Morgan Stanley is now offering a new research line for clients that are interested in cryptocurrencies and blockchain. At the same time, Morgan Stanley analysts have explained in the past that cryptocurrency mining activities may be very profitable for some developers of renewable energy. Crypto mining activities consume important amounts of resources and clean energy is the best way to power the mining rigs. With a cryptocurrency market that increased exponentially during the last year, enterprises and governments are moving towards these new technologies. Financial markets and institutional investors are also more interested than never before in these new assets. At the end of 2017, the Chicago Board Options Exchange (CBOE) and the Chicago Mercantile Exchange (CME), are offering Bitcoin futures contracts for their investors. Nasdaq will start to offer this option soon and many other important institutions all over the world are going to launch their own bitcoin futures contracts. Even when Jamie Dimon, JP Morgan Chase CEO, commented negatively about Bitcoin and cryptocurrencies, its own bank is working with blockchain technology. Some weeks ago, the company announced that they were working in their own blockchain-powered platform known as Quorum. Apparently, the main intention is to address they key challenges that blockchain technology presents to the financial industry.